A 5-minute quickie, this is a good spread on any kind of crackers, and great for stuffing celery. Delicious! 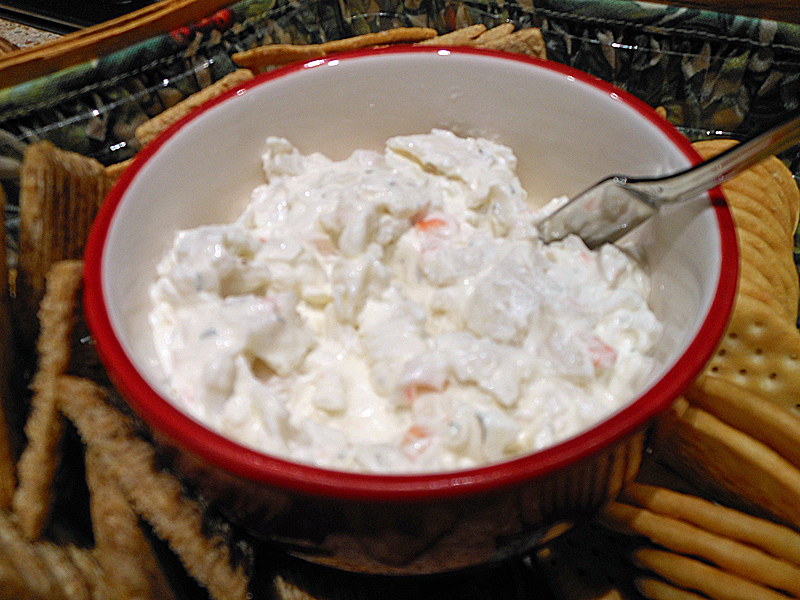 Mix cream cheese and mayonnaise well; add crab meat or lobster and seasonings; fold in sour cream. May be made the day before serving. Serve in round bread, on crackers or buns.